SSS Flexi-Fund vs. Pag-ibig MP2 — Which Is a Better Investment? Both SSS Flexi-Fund and Modified Pag-ibig 2 (MP2) are savings programs offered by government agencies. Both offer interest rates higher than those offered by banks for savings accounts and time deposits. Both programs are guaranteed by the Philippine government. Both are tax-free. Total savings plus their dividend or interest earnings are tax-free. Both are SAFE savings plans. You will never lose your money in case you lose your job or business and you are not able to continue making your monthly payments. With many pre-need and insurance investment plans, you will lose all or a big portion of your money if you fail to continue paying. MP2 is offered to all Pag-ibig 1 members. Flexi-Fund is offered ONLY to OFWs who are SSS members. The minimum monthly savings amount for MP2 is 500 pesos. The minimum for Flexi-Fund is 200 pesos. Under MP2, you need to continue paying at least 100 pesos to Pag-ibig 1. Under Flexi-Fund, you need to continue paying the maximum monthly contribution, which is 1,760 pesos. For Pag-ibig, you have 2 different Pag-ibig nos: one for MP2 and another for Pag-ibig 1. For SSS, you use the same SSS no. for regular SSS and for Flexi-Fund. You pay MP2 and Pag-ibig 1 contributions separately. Remember, you have 2 different nos. You pay Flexi-Fund and regular SSS as one item in a single receipt. SSS will be the one separating your payment. It will post 1,760 pesos to your regular SSS account, and will credit the excess to your Flexi-Fund account. Pay at least 1,960 pesos (1,760 for your regular SSS account + 200 for your Flexi-Fund). For example, you want to contribute 1,000 to your Flexi-Fund, pay 2,760 pesos (1,760 for your regular SSS and 1,000 for your Flexi-Fund). If you want to save 2,000, you pay 3,760 (1,760 for your regular SSS and 2,000 for your Flexi-Fund). For MP2, you choose a term of 5 years or 10 years. Or choose a term of 5 years then renew for another term. Default term is 5 years, if term is not chosen. For SSS Flexi-Fund, choose a term of any number of years, from 1 year to 30 years. For MP2, the dividend rate is decided by the Pag-ibig board every year, based on total Pag-ibig earnings the past year. MP2 is always higher than that given to P1 contributions. In 2010, the dividend rate for MP2 was 5.5% and the rate for Pag-ibig 1 was 5%. For SSS, the interest rate is also repriced and quoted every year. It is based on the current average 91-day Treasury bill rate. So if you can just save 5k a month for 5 years while abroad, you can see about 350,000 in your account the day after you arrive at the Manila airport. SSS Flexi-Fund has a One-Time Deposit option, just like a time deposit at a bank. You can contribute 100,000 pesos or more as a one-time deposit. For Flexi-Fund, enroll in Online SSS, so you can see your Flexi-Fund contributions anytime online. For MP2, as of today, online checking of contributions is offered to OFws only. Under MP2, you can now withdraw your money anytime before your 5-year term. Previously, you could not. This policy change was announced this January 2013. But always expect a 5-year term, so you will not be frustrated in case their withdrawal policy changes again. Flexi-Fund is also flexible — you can withdraw anytime, in full or in partial amount. But if you withdraw savings that have stayed with SSS for less than a year, you will be charged with pre-termination fees (10% or 20% of net earnings). If you’re in the Philippines, you can submit your OW-1 form at any SSS branch. Bring your Overseas Employment Certificate (OEC) and IDs. For MP2, enroll at the Pag-ibig website: pagibigfund.gov.ph, click E-Services, then MP2 Enrollment. If you don’t have yet a Registration Tracking Number or POP Temporary Number, get first your Transaction no. and Pag-ibig MID No. by going back to E-Services, click Membership registration. For members of POP (Pag-ibig Overseas Program — the original US dollar, Canadian dollar and peso savings program for immigrants, OFWs and other types of overseas Filipinos), you can continue saving under this POP program, or you can also start saving under MP2. POP members can stop their POP membership as long as they have completed paying their housing loans taken under POP. pwede po bang maging pension yung FLEXIFUND contribution nyo when you retire at the age of 60.? let say if i have 1 million in my flexifund magkano po yung pension non kung meron man? hi ask ko po need po muna mgpay ng full 1 year contribution to P1 bago makapagenroll sa MP2 program? MP2 is an optional personal savings scheme. Your company will only pay half of your Pag-ibig contribution. The rest, including MP2, is yours. My pleasure. I just had a lot of free time and it seemed you were out of the country for a while. Hi, I just would like to confirm if the Pag IBIG 1 that is required to be eligible for MP2 is the same as the mandatory contribution of Php100 being deducted from an employee’s salary. Thanks. Hi! I am a newbie in the mp2 program. I would like to ask if I availed the mp2 program, will the contribution be deducted first to my salary THEN the tax will be computed or is the tax computed for the gross salary (government contributions included)? Could you create a sample computation in a 20,000 monthly salary? Hi James, wow! Thank you very much for responding to many of the questions posted. And they’re all excellent answers. Those asking questions and I are so fortunate to be recipients of your kindness. You’re a very good writer. I hope you have time to continue responding to questions here, as I had so many on my plate these past several months. You know you can also start a blog. Maybe about things you’re passionate about, or focus on a niche. And please let me have a look. I think you have a lot of good things to share to people. Maybe try Google’s Blogger first. You can also explore WordPress. Happy new year again! Jay, yes you can pay for isang bagsakan. But hurry, you have until Dec 31 to do this. Otherwise, the fund will be credited to the year 2018.
hi. pwede po bang pabayaran c MP2 this dec 2017 for Jan-dec 2017 sana? isang bagsakan ng bayad? c MP1 kc, pwede.. am not sure kay MP2.. salamat po..
@Mary, MP2 requires your Pag-ibig 1 to be active. This means that you must have paid all 12 months of your contribution. If not, and you deposited for MP2, Pag-ibig will deduct all that needs to be deducted before considering your contribution to MP2. You need to apply separately for POP. @Jeanette Virly, No. If all of them paid the maximum contribution, which is P 1760, they will receive the same pension. No. MP2 starts after Pag-ibig approves your application for MP2. It’s not automatic. You have to apply for it. @Larhain, yes, you can do that. But why do you want to deposit P800 when you can deposit P550? Minimum for OFWs is P550. Just make sure that you maximize your last 60 contributions because they are the ones used in the calculation for your pension. @Geyvie, Yes, the last 60 contributions will be counted first from the last payment you’ve made before you filed for benefits claim, regardless of how many years, even if you’ve exceeded 120, you’ve contributed. Your pension will be calculated based on your Monthly Salary Credit (MSC) using 3 formulas, and your benefits will be whichever of these 3 yields the highest. Yes, you are eligible for pension at retirement age. 60 if you are unemployed. 65 if you are still employed immediately before making a claim. If your contribution was the maximum, yes, you will receive the maximum pension. But if you contributed the minimum, you will also get the minimum. Yes, you may stop paying for contribution after you’ve completed 120 payments. You may still continue paying but the increase is negligible. You would need to contribute at least 6 more years to feel the increase. I would like to request clarifications please on the last 60 contributions in SSS that would be the basis for the pension calculation. If for example I have already made 120 contributions and I am age 45, does it mean that I am eligible for pension when I retire and the basis for the calculation would be my contributions from age 41-45? Assuming I have stopped contributions as soon I have made my 120th. or the 5-year contribution basis for pension calculation are the contributions that I will have yet to make at the age of 56-60? 3. The member may stop paying monthly contribution upon completing the 120 contributions. Appreciate your enlightenment on the above. Does the member identification (voluntary, ofw, self-employed, etc. )in Pag-ibig or SSS affects in the 1)contribution and 2) pension? Is it correct that MP2 membership starts from the date you have first made your contribution? I have been paying online thru pag-ibig’s e services since last year po. And i was able to track and see all my payments on my account since nasa ibang bansa na ako. I understand po na to contribute in MP2 you have to continue paying PG1..just wanna make sure po na yung binayad ko online is napunta sa PG1 para mka start na ako sa MP2..I am already enrolled in MP2. No. Nothing will go to the Flexi-fund. They will only credit any amount that exceeds your P1,760 contribution and this amount must not be smaller than P200. Let’s say you paid P1,760 this month. Nothing will go to your flexi-fund. But if you contributed P2,000, P240 will go to the flexi-fund. Thank you so much for this very informative post. Working overseas po ako for 2 1/2 years and ngaun ko ang po nalaman tong SSS Flexi fund at MP2 and I want to avail this very soon. For my SSS I’m paying Php1,760/monthly and is there any amount that will go to Flexi-fund? I’m an ofw and I just paid my quarterly contribution last night for both SSS and P1. The teller automatically enrolled me as a flexi-fund member because I have been paying the maximum amount. Getting curious with the flexi-fund, I searched the internet about it and found your blog. Since 2012, I am paying the maximum amount. Upon reading your conversation with Mr. James about paying the maximum amount 5 years before reaching 60, I almost cursed to realize that I just lost 28,800. Now I am thinking of going for minimum for the next contribution. As for P1, I have been paying 1,500 for 2 years now. Correct me if I am wrong, but unlike SSS, there is nothing to worry for paying this amount because later on, you will get your contribution as lump sum when you retire. I am thinking also of getting into MP2. Hi James, yes, Pag-ibig should credit your 20k to MP2 as you’ve already paid your P1 for the whole year. Yes, you can make the request in case they made an error in posting. And they should make the correction because you’ve already paid P1. My sis in law did not insist (because of the promo) so Pag-ibig didn’t make the correction. Thanks again, and keep on saving and investing! OK. Let’s keep it a secret then. I think if SSS finds out that high earning OFWs are taking advantage of this “loophole”, they might change the rules. Thanks for the info on MP2. Oh God. I just contributed P20,000 last week. But I already paid the required contribution for the entire year. Do they still credit that to P1 even though you are fully paid for the remaining of the year? I hope not. If they did that, can I request them to credit the fund to MP2? Anyway, you may use the images. It’s the least I could do. Hi James, I estimated your age using your SSS date of coverage, like maybe you were 21 or 22 when you started paying your SSS 3 years ago 🙂 About your 12.1k “loss,” the nearly 69k you invested in Flexi Fund will also earn thousands over the years, and will easily cover your “loss.” I think initial 2017 earnings have not been reflected yet in the image you sent, so you’re seeing only small earnings. About the minimum 550 suggestion for younger individually-paying members, I sometimes hesitate to blog about it because SSS might again change the rules once they get wind of lots of members “exploiting” the rules to their benefit. I think that’s what happened with the change in rules in change of contribution amounts. I think they changed the rules in 2015 when they noticed that many were suddenly drastically increasing contributions when they were nearing their 60s. I’m really glad that I got to know your blog. I did not know that there was a minimum payment for OFWs. Partly because I did not read Pag-ibig’s flyer thoroughly and partly because I thought, as OFWs, we are making substantially more than those who are working in the Philippines, therefore, we had to pay the maximum. I did a little computation and your advice will have saved me PhP 60,500! I wish I knew sooner as I have made 10 payments already and “sadly” have “lost” PhP 12,100. And since I won’t be investing in Flexi-fund anytime soon, paying the minimum contribution does make sense. You should write an article about this. Who should pay how much and when. It would be a tremendous advice to everyone, especially young people, who are just starting up to invest in their future through SSS. This little advice of yours is a gem. I was aware that SSS only considers the last 60 payments in the calculation of the benefits, but I did not realize that I could contribute the minimum just before the last 60 start to count. Well, sometimes, it really does pay to ask. What could I say, but thank you. By the way, I’m already in my 30’s and I’m not sure if I’m offended or flattered by being thought of as someone who is in their 20’s. I’m just kidding. It doesn’t affect me at all. Great blog. And I’m glad that it appears at the top of the search every time I use google. Hi James, yes, I’ll post your great info and tips on paypilipinas. I might email first paypilipinas and ask about their plans vs. their new payremit, as you’ve mentioned. About interest compounding: For Flexi-Fund, I think it’s quarterly, since they use the higher of the quarterly average 91-day T-bill rate or their other short-term investments (as they announced), and they say they reprice quarterly (I thought what’s the need of repricing quarterly if they don’t compound quarterly?). For MP2, based on the TAV printouts I got from them (there are only annual dividends on the printout) and their yearly income press releases, and online compound interest formulas that I tried, I think Pag-ibig’s compounding is yearly. I gathered annual Pag-ibig dividend rates here. There’s one other thing that you might want to analyze: Flexi-Fund requires payment of the maximum (1,760 at present). I think you’re only in your 20s, and SSS considers only the last 60 monthly contributions to compute the Average Monthly Salary Credit (AMSC) for pension computation. So during your younger years, it might be wiser to invest the 1,210 (1,760 minus 550, minimum for OFWs) to MP2, and just pay the maximum contributions during the last 5 years (before age 60) that you know you’re able to contribute the maximum (with notice that you can change monthly contribution amount to any level only before age 55). I was about to post your comments about preferring Flexi-Fund over MP2, but since you’ve realized some things, I’ll put it on hold. Will send you link later on about paypilipinas. Thanks again for the discussion. I’m happy for you that you’re analyzing your investments. Thank you for all the kind words. I hope you can help spread the word about paypilipinas. It’s an easy, convenient, and cheap way to pay SSS and Pag-ibig contributions and investments online. And, no, I don’t own a website or a blog. Last night, while I was browsing through the net about Flexi-fund and MP2, I stumbled upon a very interesting fact that made me realize that MP2 is actually better than Flexi-fund. We know that MP2 is based on the dividend rate of Pag-ibig’s previous year’s performance, and as they say, is always higher than the published rate of the MP1. Also, we know that Flexi-fund interest rates are based on the 91-day T-bill rate published by the Central bank. I somehow regret putting more money on Flexi-fund than on MP2, knowing that it will just sit there and earn almost nothing. One question: how often do they compound the interest? Is it monthly or annually? For MP2? For Flexi-fund? Hi James, wow! You made a great post for readers and for me! You gifted me with a helpful article! Thanks a lot! I’ll move this later to the post area, so it will become a post or 2 posts, since you discussed MP2/SSS and paypilipinas. I learned a lot from your thoughts. You write very well. Do you blog? Or do you have a website? Thanks for informing us about onepay.com.kw. Yes, it’s sad there are not easier ways for Filipinos abroad to pay such things as Flexi-Fund and MP2 when these are important. Thank you so much again. I’ll be writing you again after I’ve published your post. I am an OFW and have been a member of both the MP2 and Flexi-fund savings schemes. Here are my takes, which would help other members decide if they really need to get both or one over another. I will only share my experience that were not covered by this article because most of what you have mentioned have been similar to what I have observed myself. But I strongly encourage OFWs to invest in at least one of these schemes. 1. 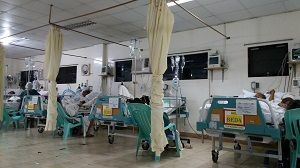 Accessibility – both of the Pag-ibig’s and SSS’s websites are painfully slow and most of the time, they don’t work, whether you are in the Philippines or abroad. However, for Pag-ibig, you don’t need to register for an account in order to view your contributions. All you need is your MID or RTN (if you still don’t have your MID) and your name, of course. In Pag-ibig, you can use any browser. Like what you have said, this service is only available to Overseas Workers, which I find unfair for many other Filipinos. As for SSS, they insist on using Internet Explorer, which is the most outdated browser of them all. And you will be punished if you used Chrome or Firefox. As I’ve said before, even if you have a very fast connection, the Philippine server will reduce your speed to a crawl. And I am being kind. 2. Availability of information – Pag-ibig has the most insensitive, laziest, and incompetent staff. All you can see in their website, if you are lucky enough to access your information, are your mandatory contributions and nothing else. Frankly, most of us do not really record our contributions religiously so most of the times, we don’t know how much we have contributed or invested. If someone wants to know their MP2 contributions, they need to email publicaffairs@pag-ibig.gov.ph or contactus@pag-ibig.gov.ph. Although SSS uses the granddad of all browsers, they provide somewhat comprehensive information about how much you have contributed for both the mandatory and Flexi-fund contributions. The Annual Incentive Benefits (AIB) and earnings are also posted, which give us more satisfaction and encouragement to invest more. If MP2 and Flexi-fund have similar interest rates, I would rather put all my money on SSS Flexi-fund because of this reason alone. I mean, if you are going to get the same amount of money at the end of the maturity, why do you need to pay extra remittance charges just for paying for MP2? Instead of paying for the remittance charge, why don’t you add it to your Flexi-fund investment? As for the availability of information, I have never contacted SSS when trying to know how much I have contributed because they are all available in the site. I have given Pag-ibig 3 years to improve on their information system, but I guess they are too lazy and too incompetent to even make a decent improvement in the last 3 years. I will no longer invest in MP2 from now on. Please see screen grabs below (copy and paste on browser) of Pag-ibig and SSS website interface. 3. Ease of payment – (This is going to be a long discussion.) Well, it’s really quite difficult to pay for these investments if you are the kind of person that prefers to pay online. Aside from the basic contributions, I have never paid for MP2 or Flexi-fund through remittance centers. Pag-ibig has a direct online payment facility. However, it is only for the mandatory Savings and none for MP2 payments. SSS has no direct payment facility whatsoever. None of the Philippine banks offers services or biller services to Pag-ibig MP2 or SSS Flexi-fund. None. Thank you Philippine Government for not mandating Philippine banks to facilitate payments. Really, thank you. You are in a different league of incompetence and disservice to your own citizens. What I do is that I registered for an account at paypilipinas.com. Paypilipinas is a website that facilitates payments to Philippine government agencies such as SSS and Pag-ibig. This website is owned be Ventaja and before, it had the facility to pay for other private company bills in the Philippines such as Meralco, Maynilad, Manila Water, etc, but they have moved all of those private billers to payremit, which frankly I don’t understand how it works. Paypilipinas is such a convenient facility for me and I hope ventaja keeps it as they have started to include SSS payments in payremit. In paypilipinas.com, you could top up your account using credit card (Mastercard or Visa) or through Philippine bank billership. However, If you use credit card to top up your account, the exchange rate is substantially less than the equivalent exchange rate of the Philppine bank top up as everything will be converted to pesos. As paypilipinas is not a listed biller in most banks, you have to register it while you are in the Philippines. I have used BPI and Chinabank and the only way to register paypilipinas as a biller is to register them using physical paperworks in the bank. This is the single most demanding step. After that, you can top up your account at paypilipinas and enjoy higher rates as if you were paying directly from the Philippines. Here’s how it works for me as I have an account at Chinabank (only few banks offer online biller facility to paypilipinas: BPI, Metrobank, PNB, RCBC and chinabank). Remit money to Chinabank using remittance facilities because the exchange rate is higher compared to local bank transfer. Pay paypilipinas biller. Wait for at least 3 days for the bank to credit the fund to paypilipinas. The amount then appears in your paypilipinas wallet minus PhP 50.00 facility fee, so make sure to always add P150 (P100 for bank transfer fee and P50 for online facility fee). Then you can pay either SSS or Pag-ibig using the web interface. The difference between the amount using bank transfer and credit card top-up is substantial. For example, you want to top up PhP 30,000 to your account. Using Philippine bank transfer, you pay PhP 30,150. If you are using credit card, you pay a total of PhP 32,466 (an exchange rate of $1 = 48.05 and a 4% credit card surcharge). This is fine for a few contributions but definitely disadvantageous in the long term. Then wait from 3 days to 1 week for the contributions to appear in either Pag-ibig or SSS records. In Kuwait, there is an online payment facility that is better than any payment facility offered by any Philippine company, except paypilipinas.com. It’s called kabayan e-payment services by onepay.com.kw. It uses local debit cards and locally issued credit cards to charge fees. It can be accessed through onepay.com.kw/kabayan. However, the exchange rate is substantially less than when paying through paypilipinas bank channel ($1 = 45) but it’s still very convenient and very nice when you need to pay your fees fast especially if you haven’t paid the last 9 payments of your SSS and you are running out of time. I also would like to take this opportunity to encourage people to use paypilipinas.com as it is a very convenient way to pay for SSS and Pag-ibig online, and the only facility that pays using pesos. I am afraid that with the emergence of payremit, Ventaja might dissolve paypilipinas as a result. This would be disastrous for many of us who use online facilities as we have to physically go to a remittance center in a city everytime we need to pay our contributions if no online channels are available. My accommodation is far away from the city and I only get to go to there once in about 3 months and I hate having to queue up and spend at least 30 minutes just to send money. hi Gud pm para po SSS gusto ko pong kumuha ng Flexi fund puede po bang ako mag advance payment ng 100,000.00. Hi Nora, Employed ako ngayun locally at gusto ko maghulog sa MP2. Pag sumali ba ako sa mp2 mababawasan ang binabayaran kong Tax? If not, you can email Ruel A. Velasco (SSS Representative ) abudhabi@sss.gov.ph and ask how to register as OFW member. Minsan meron silang promo events sa mall para maasikaso nila ang mga OFW members. Pag makapunta ka don, dalhin mo na rin ang passport mo, or yong ID nio diyan, or copy of job contract. 550 ang minimum for OFWs, up to 1,760. You can choose. Kung gusto mo ring mag-save sa Flexi-Fund, mag-enroll ka na rin. Ang pagbayad ng Flexi-Fund ay kasabay ng regular SSS contributions. Yong sobra sa 1760, yon ay mapupunta sa Flexi-Fund. Dapat yong sobra ay 200 pesos or more. Halimbawa, pay 2,200. Yong 1,760 mapunta sa regular SSS at yong 440 ay mapupunta sa Flexi-Fund. Yong sa Pag-ibig naman, mag-enroll ka online dito: http://www.pagibigfund.gov.ph/ Click mo yong E-services, then Membership registration. Later on, pag meron ka nang Pag-ibig MID, mag-enroll ka rin online sa MP2 Enrollment system. Hi po Ms.Nora pano pgnkasali n ako dto sa mp2 at ff funds po tapos after 2years ei ngstay n po ako ng pinas can i continue parin po eto khit d n ako ofw?? Hi marivic, Pag-ibig MP2 ba ang iyong tinatanong? Hindi na puedeng bayaran ang past quarters. Pero you can continue saving. Kung gusto mong mas malaking hulog kesa dati, puede. Sabihin mo lang na this amount is for this month of March or April. Puede na ring ngayon na one time na big payment. Sabihin mo rin na hulog mo for the current month. Yes, ang maturity is Oct 2020, pero make sure na the same account number, or ask the cashier or Pag-ibig officer. Hi ms Nora.naghulog lang ako once last Oct 2015.then i stopped.I want to continue.kailangan ko ba maghulog for Nov 2015 to the present (17 months).kailan Ang maturity Oct 2020? after 10 years of MP2, could be extendable. For instance, you are planning for 20 years in this plan since it looks good does it acceptable? Hi. Ms.Nora, may one-time payment ba sa MP2 katulad ng sa SSS na 100K a year (200K for OF)? Hi Jeff, I’m sorry for missing your question. It’s great that you started saving with MP2. Yes, Dec 2014 pa rin ang starting date mo. At puede mo nang kunin Dec 2019 or after. Yes, puede mong habulin (in theory) yong mga months you were not able to save, pero hindi na nila ipo-post retroactively, meaning ang posting date mo ay yong payment date mo. But okay lang, kasi marami pa ring time for your increased savings to earn interest. Specify the current month as the applicable month (parang lump sum savings), para hindi nila akalain na yong payment mo is advance payment for the months of Jan to Dec 2017. Saan po ba pwede magbayad?bayad center po ba pwede? Gud day po..ask q lng po kahit hindi po ba natapos mka 5 year sa mp2..pwede na po ba cya ma withdraw or wait pa ang 5 years bago mawithdraw.tnx! Hello mam Nora,I just want to ask, about my case I am a member of sss but I use the last name of my leave in partner,but we not married how can I chachange this for my origin last name. I will appreciate if you can help me.thanks. Hi Nora, how much is the interest of SSS Flexisfund per anum or per month? Hi hermer, if you are referring to the 1985-1989 posting problem, oo, hindi pa tapos ang adjustment project. According to their latest press release, up to June next year pa ang adjustment ng mga pensions originally processed before 1997. Yong mga death and disability pensions naman, up to Dec this year daw. Ms.nora hanggang ngayon ba pwede pang manual verification sa SSS? Hi jenifferben, what I know is that kung hindi mo naman siya formally ni-renew for another 5 years, puede mo siyang widrohin kahit on the 6th year na kasi wala ka dito when the 5th year arrived. im not sure how long ive been paying my pag-ibig 2…i just wanna know if ever d ko xa nawithdraw on the 5th year pwede ko ba xa iwithdraw on the next year? or on the 10 year na? Hi Ms. Nora. What if I invest one time, say P1,500,000.00 now, how much will I get after 10 years? Hi Musu, you need to file this form: SSS Member Data Change Request form. Download and print it, then accomplish it, scan and email it to ofw.relations@sss.gov.ph, with a scan of at least 2 of your IDs and a scan of your marriage certificate attached to your email. Write your request in the body, plus your personal info (complete name, birthdate, SSS no.). Mention that a copy of your IDs and marriage cert are attached. You can enroll in SSS online service so you can track your records. Hi,Nora! Pano ko mababago yung status at surname sa sss ko? I am living in abroad na kc and i want to continue my sss contribution maybe 3 years na since i stopped my remittance. At nakalimutan ko na kng voluntary ba or self-employed ba yung sss ko. And pwede paba humabol sa pag.apply sa SSS kng ang age is 55yrs old na? Hi evangeline, sorry, no. Only OFWs have that flexible deadline. This month, what you can pay is from April to December, or up to any month you want. Here are SSS payment deadlines. Or to make it easier, just commit to paying for a certain quarter before the last day of the quarter. Hello MS.NORA good day. ask about my child’s sss. It’s been 5 months I have not paid since January 2016. Can I still pay 5 months from January 2016 to may 2016? I wish to pay for the whole year from January to December 2016. He’s not OFW. thank you po. more blessings to you. Thanks a lot, Ms. Nora for your prompt response. Hi Sheraceveda, yes, your mother can get back what she paid to SSS or Pag-ibig plus interests or dividends, but she needs to wait till she turns 60 before she can claim her lump sum. Hi Ms. Nora, I would like to ask if my mother can get her lump sum even if she worked before for just 3 years in the year 1980’s & stop her monthly contribution. She’s 59 right now & asking if she can still avail the said lump sum. Thank you. Hi Ricardo, it’s great to know you’re saving with MP2. Have you tried checking if your MP2 is included in your Pag-ibig 1 data? Go to https://www.pagibigfundservices.com/ Scroll down to “OFW Member’s Contribution Verification”. Sorry I’m not sure if MP2 is included in this verification system. If not, email contactus@pagibigfund.gov.ph and ask the total of your MP2 savings. Hi po mam nora,tanong ko po sana kung pano simulan sumali sa MP2 at flexi fund.ako po ay isag ofw dito sa khamis saudi at member na po ako ng PAgibig at SSS nung anjan pa ako sa pinas mam. Mahigit 2years nadin ako nakahulog sa Regualr SSS fund. pano po ba pagsali jan mam at ano ang guidnline jan para po maumpisanhan sa pagsali po jan mam? Thanks a lot Nora! I just posted several questions in your other blog. I am an OFW and it’s not easy to queue the whole day just for some inquiries in SSS counter or PAG-IBIG counter here in abroad. You’re a savior! Sending you love. Hi Jade, I called Pag-ibig and they said yes, you can increase, but when you pay, tell the cashier that the full amount is for MP2, so they won’t think that the difference will be posted to your Pag-ibig 1. Hello Nora. I have MP2 na and I am paying P3,000.00 a month and that’s the amount that was input by the officer sa system. Would it be possible if next time I’ll add more amount, say, from 3k pesos to 5k pesos a month? Thanks a lot for this blog. Very helpful. Hi jhoy, yes, you can do that. You can have gaps and you can vary your monthly MP2 savings. There’s no maximum limit for monthly savings. You can save as much as you can save. There’s a minimum limit, which is 500. Hello po Ms. Nora, is it okay if our monthly payments vary, like 500 for january, then 1000 for feb, then mar-april none, again 2000 for may. and how much is the maximum amount that we can save per month with Pag-ibig MP2 account? Thanks po. Thank you very much for your advised ate Noors, I will try to do it as per your instructions above, and will give you feedback as soon as I got result from them.. Thanks ate Nors, sorry for the wrong information I’ve given to you, what I mean ate nors, I paid 20,280 pesos for 3 months (Jan-Mar), which is 1,760 x 3 = 5,280 and 5,000 x 3= 15,000 for my flexi fund. But what SSS did, they posted all to my regular SSS ACCOUNT and no payment post in my flexi fund. Posted in my regular account- this should be 1,760 each month only, and the remaining 5,000 should be posted in my flexifund. Hi Amira, you specified 3 months, so SSS should have posted three 1,760 (5,280 to pay for 3 months) to your regular contributions, and then posted 1,480 to your Flexi-Fund. Did SSS post also 1,480 to your regular savings? There’s no 1480 contribution in the SSS table. The rule of Flexi-Fund is: you should pay the maximum (1,760) for the month to be able to save with Flexi-Fund for that month. With your 6760 payment, if you wanted 5k to be paid to Flexi-Fund, you should have specified 1 month and not 3 months. Dear Ate Nors, I just enrolled to SSS flexi fund recently during my holiday in Philippines. the clerk approved my SSS flexi fund enrollment docs and informed me that I can start now to save to flex fund. So what I did, I put 6,760 for 3 months (1,760 for my regular SSS and 5,000 for my flexi fund). My questions is, when I visited my online account all 6,760 pesos were posted to my regular SSS CONTRIBUTION, but no amount to my SSS flexifund. where can I see my flexifund contributions? Why was there no amount posted in the flexi fund portion? what’s the exact time that the pag-ibig office opens? Hi Jane, you can call Pag-ibig 724-4244. Or you can visit your Pag-ibig branch. I think Pag-ibig issues only a transaction card and a discount card and does not yet issue photo IDs. Hi po, first time to save with pag ibig. how can I know how much I’ve already contributed? Is there a need to apply for an ID? Hi Joel, sad to say, you can no longer join Flexi-Fund as you’re no longer an OFW. Only those who have joined when they were OFWs can continue contributing even when they’ve come home for good. But there’s an alternative, the PESO Fund, if you’re younger than 55 and you’re contributing the maximum contribution (1,760). Minimum monthly savings is 1,000 and maximum total savings per year is 100k. You can save with this program: Here’s the form: https://www.sss.gov.ph/sss/DownloadContent?fileName=SPF_ENROLLMENT_FORM.pdf When paying, use the SSS PESO Fund payment form. Hi Mrs Nora! I just started investing/saving in MP2. And just recently, I happened to know a bit about Flexi-fund and I want to enroll in this program. Previously, I could have applied easily if I knew the program then, but now, I am not already an OFW. I am now paying voluntarily. Is it still possible to apply for this program? Hi Luc, yes, if you want to save with MP2, you need to request for your MP2 account no. Your MP2 is an account and you can have 2 or more accounts and account nos. It’s the P1 no. (Pag-ibig MID no.) that should only be one and the same no. for every member. MP2 is optional, so employers are not mandated to deduct this from payroll. They can deduct for you, or they can refuse. If deducted, it’s deducted after tax has been computed. It’s only the mandatory savings that are deducted before tax computation. Hello. Question po. Should I wish to have MP2 deducted from my payroll, do I need to have another pag-ibig number aside from the one I already have? Isnt it illegal to have more than 1 govt id number? Also pagibig mkti III explained to me that my employer should specify in the form to be submitted to Pag-ibig if the payment is for MP1/MP2? And should this be deducted from payroll is it before tax po or after tax? Question po.Should I wish to have MP2 deducted from my payroll, do I need to have another pagibig number aside from the one I already have? Isnt it illegal to have more than 1 govt id number? Also Inexplain po sken ng pagibig mkti III na kelangan lng dw naka specify dun sa isusubmit na form sa knila ng employer if the payment is for MP1/MP2? And should this be deducted from payroll before tax po ba ito o after tax idededuct? Hi amira, that’s the argument of SSS officials, and that’s why it’s taking the Congress a long time in approving the bill. If our lawmakers are responsible, they should check the real status of SSS funds. I think that in case SSS funds are really in danger of getting exhausted, the next SSS officials will make remedies so that SSS pensioners continue to enjoy their pensions, considering that the SSS is a government institution. Another concern from all the members Ate Nors, I learned from one article on tabloid that, according to Marissu Bugante, SSS Vice President for Public Affairs and Special Events Division, said if House Bill 5842 is approved ( increase in pension- PHP2,000 across the board), it will shorten the fund life and operations of SSS to 13 years or until 2029. So it means, that the next generation pensioner will no longer receive their monthly benefits (pension)? Hi amira, there’s no limit to how much you can save in Flexi-Fund. Yes, you can save 120k every year. It’s the PESO savings scheme that’s limited to 100k per year. When you file your OW1 form here, bring your IDs and your proof that you’re OFW. About the difficulty of withdrawing one’s Flexi-Fund, I’ve read only one negative comment so far, so I’m not sure if that’s the norm. It might be good if you put some of your money with Pag-ibig MP2; withdrawing/claiming from Pag-ibig takes only about 3 weeks, based on my relatives’ experiences. Hi badz, sorry I waited to respond to this because I wanted to call Pag-ibig to be sure about it. What I know is you can, but you spread it out as advance payment for 3 or 6 months. If you pay this Nov, you can say that you’re paying 33,334 for each month for Oct, Nov and Dec totalling 100k. The dividend rate is applied yearly, so the dividend rate will be applied to your whole payment of 100k for the year 2015. I’m confused about the procedure for Flexi fund. I plan to join, and I want to put at least php 10,000 per month, every time I come home; i’ll pay yearly. If I pay at the same time with my contributions, it means I’ll put 120,000 quickly into my flexi fund. It’s said there’s one time invest of 100k, so ate noors does that mean I can no longer pay because I already saved 120k in my account. I plan to save while I have good income; yearly I will invest at least 120k. Hi Erric, just bring your IDs and first MP2 Bayad Center receipt and show to the Pag-ibig officer, so Pag-ibig will validate it. Pag-ibig will want to check if you’re updated with your P1 contributions. Go to the branch where your P1 contribution records are stored. Ms. Nora, I pay my first payment under MP2 in the bayad center, I don’t know that the first payment should be paid in the Branch, what will happen now to my first payment made to Bayad Center? thanks you so much for the info.im so glad i found this page and i like reading the comments from here.helps me learn a lot to save money for my future..very helpful to everyone. Hi ana marie, yes, you can save more than 5k per month in your MP2 account. But remember also to save in your mandatory P1 account (200 pesos or more). thank you for the answer..me and my co-work wants to enroll the mp2 savings and they so many questions..
Hi pretty, yes, all your savings are yours, whether you paid 60 monthly savings or less. But since the MP2 term is 5 years, you’ll be able to claim your savings plus dividends after 5 years or 60 months. hi mrs nora, for example if you paid only 3 years to mp2, can you claim it even if you did not complete paying for five years? thanks a lot po. Hi Jeff, it’s good that you’ve thought of saving. 1. There are no penalties or charges. 2. Sad to say, you cannot withdraw your 3000 before the 5-year term is reached, so there’s no cancellation with Pag-ibig. Your 3k will earn annual dividends for 5 years. I hope you overcome your financial problems soon, and improve your sources of income, so that long before the 5-year term is over, you can start adding to your initial cash-in. Hi Ms. Nora. I hope everyone is doing well. 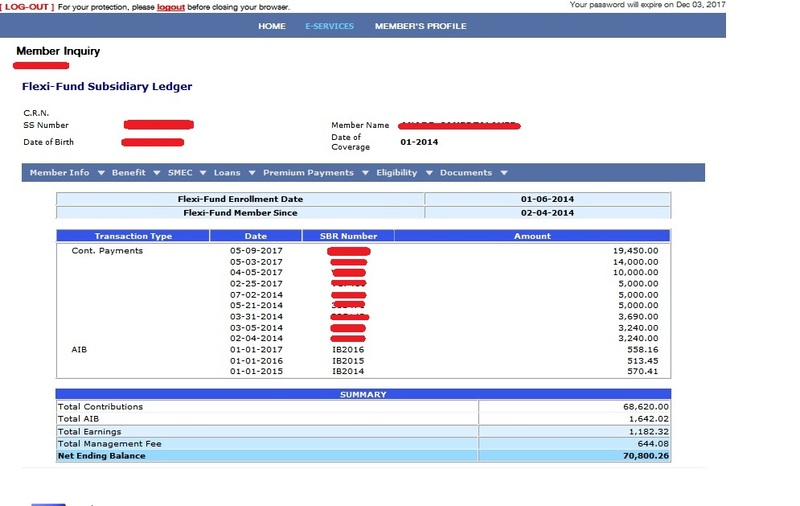 I have enrolled into PAG-IBIG MP2 (investment program) last December 2014. I was just able to deposit an initial payment of P3,000 and was no longer able to continue the Monthly contribution due to financial problems. What does this entail? Hi frederick, were all your advance contribution payments 1,760 pesos per month? If yes, you can add to your Flexi-Fund, but there should be a note in your flexi-fund payment that maximum regular payments were already paid. I’ll see if I can see something helpful. Good day ms nora! can i contribute mp2 via online services of pag ibig? Or which accredited bank can we contribute mp2? or where can we pay mp2? Thanks and more power! Hi Raceli, if you already have your MP2 account no., make your first payment at your Pag-ibig branch, and then for the next payments, you can pay at Bayad Center or SM Business Center. Banks accept only those from employers. You withdraw your MP2 savings after 5 years. To claim, fill up the Provident claim form and present your IDs. Email publicaffairs@pagibigfund.gov.ph to request your MID no. Include your complete name, birthdate, birthplace, address. 1. Can I make my monthly savings directly to HDMF accredited bank? 2. How is withdrawal done in MP2? Hi jhoy, yes, you can. You can increase your MP2 contributions to any amount higher than 500, up to 5,000 pesos per month. Hi! Ms. Nora, I start to pay my MP2 contribution last month with the amount of P1000.00, next month I want it to increase upto P4000.00, it’s possible? Is the amount shown on the table of MP2 contribution is fixed? Can I pay P600 / P800 / P1300 as long as more than P500??? Hi Manuel, based on comments on online forums, no, it’s not easy. Withdrawal is not immediate. So it’s also good to save some money in a time deposit with a bank. Hi Tonio, thanks for sharing very helpful info. It will help others. You write well, so I hope you can email also Pag-ibig and suggest that they also extend their online contribution verification service to local members. They can start with MP2, if they don’t yet have the funds for every member (those of mandatory savings). Thanks again. Im a member of this MP2 for Pag-ibig. I regularly deposit thru GCASH. One thing I can say with this is, checking the status of your contribution. It is Manual, you need to email pag-ibig then request for your updated statement of account. This will take you about 3-6 weeks with consistent follow-up before they can release the updated statement of account. Still, 5% to 6% dividend rates are higher than any savings account also with the current inflation that ranges is 4-5 %. Happy Investing/Saving. cheers. Hi good day, is it easy to withdraw from flexi fund like at the bank when there’s family emergency? Hi evangeline, thanks also for commenting. Yes, Pag-ibig and SSS are government institutions, and our savings with them are government-guaranteed. Pag-ibig and SSS have had financial problems before, like bad investments and unpaid housing loans, but they surpassed them even without getting direct financial aid from the government, so that means they’re relatively strong. SSS however is said to need some more changes in order for it to be sustainable for the younger generation, specially regarding pensions. Pag-ibig is well-managed now, as they’ve been very strict with housing loan collections, and SSS is now offering its housing loans only to organized groups. Pag-ibig has just released a list of MP2 members who can claim their savings that have matured. Hi Nora thanks for replying, at least I got cleared up about some things. I hope and pray that we will get back our money. Isn’t it that this is guaranteed by our government? So there’s no doubt that we won’t lose our money.thank you so much for always responding to our questions.God bless you more. Hi evangeline, thank you for wishing me blessings. Wish you blessings too. It’s great that you’re looking where to save. About that 50k interest, that’s also just a sample. If you check the small notes below the page, it’s written there that those are only estimates. Flexi-Fund and MP2 can guarantee you that your money will earn and will earn more than if you deposit them in banks, but they can’t guarantee the exact interest rates. If you like, you can save/invest in Flexi, MP2 and a 5-year time deposit in a bank (look for one with free life insurance or with a raffle promo; choose from the big savings banks). Hi mam Nora blessed day.thank you for answering my questions.mam how is MP2 of pagibig? It’s posted that 300k pesos will increase to 350k after 5 years. It has an interest of 50 thousand. Is that true or is that a sample too? thank you God bless you mam Nora. Hi evangeline, I’m glad you’re researching investments. 91-day treasury bill is one of the investment instruments offered by the government, and SSS is investing Flexi-Funds in this instrument. Flexi-Fund also gives annual incentive benefit. Last year, Flexi-Fund members earned around 4.2%. That 30k earnings total that you saw is only a sample. Rates have fallen so expect lower earnings these years. A 4% rate for 5 years will give an interest of around 22k minus management fee of 1%. But I think Flexi-Fund is still better than time deposit. hello mam Nora good day. May I ask what 90 days treasury bill at SSS flexifund means. Isn’t it that flexifund is saying that you make a time deposit of 100 thousand pesos in one time payment then it becomes 130 thousand pesos after 5 years. It’s in their sample. Is that true or is it only a sample. so the interest of 100k pesos for 5 years is 30 thousand pesos?thank you mam. question lang po, pano po machecheck ung contribution sa MP2? di ko po makita sa website nila, ang meron lang ung contribution sa POP.wala po akong mkita ung mismo para sa MP2 lang, kse separate nga account for MP2 and POP. awaiting your reply. thanks po! Hi Ms Nora. Many thanks to your reply, very much appreciated. Mora power to your blog..
Hi Shirley, for the SSS Flexi-Fund, yes, you can certainly save through Flexi-Fund. You can transact with SSS London: http://www.philsssuk.com/Formsdl/ow1application.html or you can just download the OW-1 form from sss.gov.ph and mail it at the address written on the form. Hi Shirley, yes, I think so, but I need to research the relevant policies, to be sure. Hi Ms Nora. I just want to ask about availing MP2 and SSS flexi fund.I am a memeber and payed SSS and Pag ibig contributions for almost 13 years. The last contribution I payed was year 2007. I was still single then and used to work in a semi-conductor company. When you receive an approval, you can start paying the maximum monthly contribution which is 1760 (Check Overseas Filipino Worker on the payment form). Then the following month, pay 101,760 pesos (write it as payment for 1 month only, so they will know that it’s for 1,760 monthly payment and 100k for Flexi-Fund). Hi Rage, I’ve also read in one Pinoy forum a complaint about the annual 1% management fee of Flexi-Fund. The monthly earnings rate of Flexi-Fund is based on “whichever is higher between the 91-day T-bill rate and the average rate of SSS short-term peso placements.” I checked the 91-day T-bill rates for the 2nd half of 2013 and they were indeed low: ranging from 0.001% to 0.668%. The rate for May 2014, however, increased to 1.346%. If SSS will declare another Annual Incentive Benefits (AIB) for 2013, as they did last year for 2012, then your earnings will increase. If I may suggest, don’t get discouraged yet, wait a while longer before withdrawing. Or maybe invest more in MP2. It’s puzzling that SSS cannot give as much as Pag-ibig 1 or MP2 can give, which hovers around 4%. Ano po ang dividend ng SSS flexi fund sa taong 2013? Nag deposite ako one time deposit Flexi Fund noong June 6 2013. Sa online ko tinitignan kung magkanoang kita ng deposite ko, kaso mas malaki pa po ang management pay kaysa kita nito. Sobrang liit ang kita wla pang 1% ang kita. Hi eddy, sorry I cannot yet find a news item mentioning the dividend rate for 2013. I assume it would be higher than 4.67% which was the MP2 rate in 2012. Total dividends in 2012 was 9.28 billion; could be 10.03 billion in 2013. Total dividends or dividend rate for 2014 will be declared in 2015. Ano po ang dividend rates ng mp2 sa taong 2013 at 2014? Hi schpooche, that question also entered my mind before. Maybe if many members ask SSS about it, then SSS might open the Flexi Fund to all other members. You can write about this at facebook.com/sssph. Meanwhile, you can save through MP2 of Pag-ibig — they have almost the same savings rates. Just wanted to ask how come SSS Flexi Fund is only offered to OFW’s. How about those who have been working here in th ecountry and would like to also avail Flexi fund as well? How can check and verify online the contributions I made on the Modified Pag-ibig 2? Sa SSS Flexi-fund po kasi pwedeng mai-check online. Kung ang receipt ay parang yong receipt sa supermarket, ixerox mo kasi nagfe-fade ang printout na ganyan. Hi evangeline, sa Pag-ibig Urdaneta (CB Mall) ka nagbayad? OFW ang category ng husband mo? Ang alam ko, ang nag-aapir lang sa online ay OFW payments sa abroad. Basta keep your receipt. Bayaran mo rin ang P1 (at least 200 pesos a month), kasi mandatory yon. Ask your husband to email makati2@pagibigfund.gov.ph (Subject: Attention: International Operations Group) to ask if OFW payments paid in Pag-ibig Urdaneta is forwarded to Makati, or stays in Urdaneta, and ask if he can be informed of his latest payments and total savings amount. hi mam nors greatday po.mam nors nagbayad po ako ng mp2 ng asawa ko last February 18 sa urdanita pangasinan .pero bat hanggang ngayon di ko pa nakikita na naipasok sa name ng husband ko yong payment ko ng 5 months 25k po.pano po yon mam.thank you po. Hi James, wow! thanks a lot for taking the time to write all these things. You write very well, even extremely well. Do you have a blog or blogs? It would be great to visit them if you tell us. Or if not yet, I can say you definitely can create great blogs! And you’re in a position where you can discuss relevant info for Filipinos there and here. You research, analyze and express well. Your blog is very informative and in behalf of all Filipinos who happened to drop by and got something, I would like to extend my deepest gratitude to you. Also, I would like to thank you for answering every question diligently. I mean, you have been answering questions for more than a year without fail. Although I have done my fair share of research about these two agencies, I still found some very valuable information from reading your blog. I actually had questions in mind but since I did not want to wait for some time to get a response, I just read through all of what was written here and sure enough, they have been covered. I hope some people would also try to exert some effort to read before they ask. I have observed that some questions have already been asked and have also been answered. I noticed that many of the questions here talked about the difficulty in paying the monthly premiums because of the lack or inaccessibility of the remitting agency. I previously had that problem but since I virtually have unlimited access to the internet, I found a really convenient way to pay not only my SSS and Pag-ibig premiums but also my Philhealth contribution. The site I’m talking about is PayPilipinas.com. First, let me tell you that I am not affiliated with this company in any way (it’s under Ventaja). I just appreciate what they do and I am very thankful for the convenience their services have afforded me. It’s very much like PayPal (otherwise, they would not have come up with a name that so closely resembles it), but the only difference is that it is used for paying SSS, Pag-ibig, Philhealth, Meralco, Maynilad, Manila Water, and other Philippine-based liabilities. The good thing is that there are many ways that they could top it up. PayPil, as what they prefer to be called, is one of the merchants of BPI, RCBC, Metrobank and some banks I could not remember. They could also top it up through ATM. All they need to do is to enroll PayPilipinas as one of their billers in their bank accounts. We all know that sending enrollment papers to the Philippines is a pain, so I suggest strongly that they enrol PayPil in their banks when they return to the Philippines. It’s a lot easier and faster. PayPil also accepts Visa and Mastercard payments. But if they have credit cards, they could pay directly through Pag-ibig’s own online payment facility if they want to avoid PayPil’s service fees. They could also top up Paypil through any Ventaja partners. These partners are almost always the remittance centers. They could just ask for it. One of the best features of PayPilipinas is the customer support. I tried to inquire about my payment to Pag-ibig why it was not reflecting on the online verification service. I was surprised that within the day, I got a response and screenshots from Pag-ibig’s own support team. I mean, it was impossible for me to receive a response from Pag-ibig when I tried to email them. Their trunkline also does not work. And I forgot, SSS’s trunklines (all 10 of them) also do not work. But whatever connections they have with Pag-ibig why they get such quick responses from them are not my concern. What matters to me most is that I get to verify my payments and I am reassured that my payments reach wherever they are intended. Please forgive me for this very lengthy discussion. Hi rem, for SSS, OFWs can pay for any month of the current year at any date of the current year; all types of member can pay in advance. This Feb, you can pay for Jan to June 2014. You can also pay for Jan to June 2014 in June or in July or in Dec 2014. For Pag-ibig, payment deadline is the last day of the current month; if quarterly payment, payment deadline is last day of the quarter. Puede ring advance. Tama ka na merong problem sa advance payments kapag ang remittance firm ay walang collection report sa SSS or Pag-ibig, at nagreremit lang ng pera over a network — there’s a possibility na mali ang pag-credit nila kung para saan talaga yong pera na naremit sa kanila. will get back if I see some remedies. thanks din, and wish you great days! For both MP2 and Flexi, is it possible to make advance or late payments? For example pay my monthly contributions for February to July this February or can I pay them on July instead? If so, how can I specify it to the collecting agent that I am paying in advance or paying for the last previous months? I am an OFW and I want to save on remittance fees by paying say twice a year instead of monthly payments not to mention the hassle going to the remittance centers. Thank you very much in advance. I appreciate the time you give for answering all our queries. Mabuhay po kayo. Hi Juliet, to change your beneficiaries, you download these forms SSS E4 and Pag-ibig MCIF forms from their websites, and then print, fill, sign and send them by postal mail to SSS and Pag-ibig. For Pag-ibig, you can also change your beneficiaries online. SSS does not have yet this option. Hi Juliet, thank you very much for your inspiring words. Yes, you can stop your POP, and then start MP2. Pag-ibig has been winding down the POP program because they’ve launched MP2. I think your 132 contributions when you were in government were under Pag-ibig 1 — this was the only program when Pag-ibig started. Your Pag-ibig MID no. is your Pag-ibig 1 no. You will get another no. for MP2. Your contributions as govt employee will be consolidated with your Pag-ibig 1 contributions as OFW, and not with your MP2. You will start your MP2 as a new MP2 saver. You will withdraw your POP as a separate withdrawal. Hi Deth, yes, for both SSS and Pag-ibig, late payments are not allowed. But OFWs can pay their SSS contributions for the year during any month of the year. For example, an OFW can pay for Jan 2014 to Dec 2014 anytime within 2014. (For companies, late remittances can be considered, but with penalties). Your contribution plan is very good and wise; you’ll be able to save much. We applaud your plan! If you don’t have yet your Pag-ibig MID, register online at pagibigfund.gov.ph so you can get your Pag-ibig MID no. and your MP2 no. how to deal our sss and pag ibig contributions. After 2 emails to pay ibig at last they replied me..They gives me my MID# but no code given.i tried to register MP2 that is the time i knew that there is code and on top of that box were u filled up your MID# there is a sample ID were you can find all the info needed.Now my questions where and how to have that code and Pag ibig ID? I have POP membership as will for 6months only and i stopped paying it.what is you advice,do i have to stop it(POP)totally because I’m planning to get Pag ibig1 as i am an OFW too. I have a contributions also in the government and i have 132months and they consolidate it to self employed.Is it possible to merged them together and put them on the MP2 &i will register Pag ibig1 @ the same time?thank you in advance Nora. Thanks po for this very useful article. I used to work in Philippines for almost 3years (2006-2008) and paid my SSS and Pag-ibig contributions. Pero nung nag-abroad na po ako end of 2008 di ko na po natuloy ang SSS at Pag-ibig. This year 2014 I decided na ituloy pero sabi saken sa Pag-ibig di ko na daw po pwedeng i-back pay yung mga namiss ko na years, di ko lang po alam sa SSS if pwede? Tama po ba yun? mam nors .kung aling banko po ang pwede naming pagbayaran sa pinas ng aming pagibig .thank you mam nors. Hi vanji, I checked Pag-ibig’s website, and the only banks accredited to collect Pag-ibig payments abroad are PNB and Asia United Bank. Wala akong makitang remittance partners sa Korea. I hope you have someone in the Phils. who can be trusted to pay for you. Hi Lucky, ang Pag-ibig 2 naman ay pareho sa MP2. Ito yong circular https://sites.google.com/site/informationphilippines/pag-ibig-forms/mp2-withdrawal-circ-324 . Sabi ba nila iba yong P2 at MP2? Ano daw yong P2? Ang savings program lang naman nila ay yong mandatory (P1) at yong optional (MP2 or P2). Merong dating POP for OFWs, pero itinigil na ang new registration, kasi meron nang P2 or MP2. I tried to voluntarily withdraw my MP2, kahit di pa sya nagmamature, hindi ako pinayagan, ung circular yata nung january is for Pag-IBIG 2, hindi Modified Pag-IBIG 2. I need clarification on this, or sino malalapitan to withdraw my savings, after kasi ng yolonda, kelangan ko ng pera, I would rather withdaw my savings kaysa sa mag avail ng calamity loan(utang pa rin kasi un). Thank you so much Ms. Norz. I have so much appreciation not only for your answer to my query but for your lots of unsolicited advices with the rest of the people who participated in your blogs. Sobrang laking tulong po. You are right, saving for the future is a must, for a better future. Godspeed. More Power. Hi Bobby, thank you very much for appreciating my blog. Sorry for the delay in my response. I suggest na mag-invest ka rin sa SSS Flexi-fund, which is only offered to OFWs. Mas okay ang dividend rate niya kesa MP2. Ang advantages ng MP2 at SSS Flexi over mutual funds (MF) or unit investment trust funds (UITF) ay government-guaranteed at sure na hindi mabawasan ang capital mo, hindi mawala ang capital at sure na merong kita, ke maliit o malaki, pero meron at meron, at higher than that of time deposits. Ang MF at UITF ay walang guarantee na kikita palagi, na hindi mababawasan o mawala ang capital at hindi insured by PDIC. Then why many people invest in MF and UITF? Because if one invests wisely (plus suerte rin o blessing), the earnings can be much higher kesa yong earnings sa MP2 or SSS Flexi. OFW po ako and Flexi-fund and MP2 member. Napakalaking tulong po yung mga kasagutan na binibigay nyo sa mga queries dito. Very informative. Kahit may website na ang SSS at Pagibig. Anyway, may tanong din ako regarding mutual fund. Nag start na akong mag basa ukol dito, pero medyo di ko pa masyado maintindihan. Parang Flexi fund at mp2 din ba na merong monthly contributions. Thanks po. Hi Junazon, mag-file ka na lang sa SSS Diliman kasi andon ang International Dept. Ask the teller receiving your claim kung kelan mo matanggap ang check mo. Perhaps within a month. Different claimants experience different processing time. Make sure your home address is written correctly. Mga ilang months po kaya ang aabutin to process withdrawals sa SSS Flexi-Fund? Tanong ko lang po kung ilang months ang minimum contrubution sa SSS flexi-fund na pwede siyang mawithdraw kahit hindi pa umabot sa 5 years maturity period. I have a total of 14months Flexi-fund contribution lang. Thanks. Thanks Ms. Nors. This really help! I’ll try to open an account in Metrobank. Hi beck, I checked my Metrobank online, and there’s Pag-ibig on the pay-bills list. BPI and BDO do not have Pag-ibig on their lists. The MP2 MID no. is different from the P1 MID no. so I think you should be able to pay online through Metrobank; you need to ask or try though to be sure. Hi Ms. Nors, I want to pay my contribution in MP2 through online banking for convenience. Do you know any banks that I can possibly use for payment of my MP2 contributions? I noticed that the online payment facility of PAG-IBIG is only use for payment of monthly savings (or the regular contribution). Hi lito, yes, tuwang-tuwa talaga ako pag nagse-save ang mga OFWs, kasi nakita ko talaga in my own neighborhood ang mga hindi nag-save at hindi talaga maganda ang nangyari; may naghiwalay pa. Siguro you can also save some in auto-renewal time deposit sa bank for immediate needs; kasi pag sa bank, the same day mawiwidro mo agad; pag sa Flexi, you wait for 1 month o more before it’s released. hello po mam nors good day po.pwede po ba yon sa una ko pong tanong mam.thank you po .salamat po sa mga sagot nio po sa aking mga tanong. hi mam greatday po.tanong ko lang po yong tungkolsa flexifund.bukod po sa montly sss at flexifund namin na hinuhulugan.bukod doon mam pede pa ba kumuha ng flexifund one time deposit kagaya ng 100 pesos. na kahit meron na kami flexifund an sss contribution.thank you po mam. Hi Mile, wala kasing nakasulat kung ano ang minimum at maximum, pero siguro 100k na yong minimum nila, kasi yon ang sample nila. I think they’ll accept 500k. I suggest na ilagay mo sa time deposit ng bank yong iba (BPI Family or BDO or other top banks) for future needs na immediate, kasi hindi immediate ang release ng SSS, whereas sa bank ay puedeng within minutes na pupunta ka doon ay makukuha mo na. Malayong malaki nga lang yong interest rate ng Flexi. Hi mom Noors, salamat po sa very informative site na ito, but one more question, ang 100k po ba eh fixed na yun sa as one-time contributin payment sa flexi fund or pwede pa syang mas maliit o mas malaki, for example eh 50k or 500k and ihuhulog ko as one-time contribution payment? Good day, want to ask something regarding flexifund, pwede po ba ako maghulog ng contribution ko sa Flexifund for example 3 years in advance which is 72,000, and after 3 years ay up to 5 years naman and so on until I reach my ideal contribution up to 15 years, kasi evry 3 years lang ako nakakauwi dyan, and I will use the money para sa pag aaral ng anak ko in the future, kaysa mag join ako sa mga private educational plan na di sigurado. Puedeng email: member_relations@sss.gov.ph , pero hindi ko sure kung mabilis nilang nasasagot ito. Attach a copy of any proof of being OFW, such as OEC, working visa, overseas job contract, plus copy of foreign ID or passport or SS ID. hi po ms.nors.ask ko po mam kung panokami maka apply ng flexifund.member napo kami ng sss.wala po kasing branch ditto sa korea.pwede po ba mga parents ko mag apply sa sss office sa aming probinsia para sa aming flexifund.1,560 po kami montly.magkano po bali ang pwede namin ihulog sa flexi fund monthly.thank you po. Hi jeg, yes, you can contribute any amount higher than 200 pesos. SSS did not put a maximum limit. For example, you can contribute 5k, and 3440 will be credited to your Flexi-Fund. Or 6k or 8k or higher. Gusto ko rin po malaman kung ilan pweding maximum contribution sa SSS kung na enroll na ako sa flexi fund. Nabasa ko lang kasi 2000.00, 1560 regular contribution, at 440 ay automatic sa flexi fund ko. Pwede bang lumampas sa 2000.00? Hanggang nagkano po ang pwede? Hi jeg, that’s great! Meron ka na palang online account. Check if you have a Date of Coverage — it’s an important data; it means you registered/started paying SSS correctly. Salamat po sa pag sagot sa tanong ko. Yes mam, sa SSS po, actually kababayad ko lang po ng 1560.00 this July thru metro bank online payment system. After 3 weeks na display na ang payment ko when I checked my SSS online account.So kailangan nlang mag scan ako ng OW-1 ko at e eamil sa ibinigay mo na email add with passport or b-certificate scan din. If you don’t have yet a SSS no., mas maganda yong sa embassy (check embassy website for sked), para mas mabilis, kasi yong sa mail/email sa SSS, matagal. Pero kapag meron ka nang SSS no., at meron ka nang contributions dati, at gusto mo lang sa SSS Flexi, or change status to OFW, puede na itong email. Tanong ko lang po kung pwede ba mag submit ng requirements thru online scan copy lang lahat or dapat ba talaga original at.Kasi sa kasalukuyan ay nasa SAUDI na po ako medyo malayo po sa embassy ng pilinas ang location ko ngayon. Hi leila, yes, you can continue anytime, since you’re already SSS members. Choose your monthly contribution and pay through accredited SSS collectors abroad like Iremit, Ventaja, PNB, Lucky Money and their partners or via bancnetonline. Enroll in online SSS so you can track your SSS records. Since you need a transaction no. to enroll online, ask someone in the Phils to pay one contribution using RS5 form for you, and then ask for the RS5 cash register or transaction no. Choose 6 digits, remove some zeros and letters. Register on the 3rd or 5th day after payment to allow time for posting. If you already have your online account, check if you have a Date of Coverage. hi ms.norm!ang problema ko po ay dina nakapaghulog sa SSS contributions ko 10 yrs.from now since the last time na umalis kmi ng asawa ko for abroad..samething with our case sa pag-ibig.gusto nmin ituloy ang paghulog sa pag-ibig at SSS..ano po dapat gagawin? Hi joy, Pag-ibig does not yet have a savings program like a time deposit. I also wish they launch one. Thanks a lot for your comment. This is very informative indeed. Thank you! By the way, I would like to ask if there is a One-time deposit option for MP2 as well. Hi Armando, thank you very much for appreciating my blog. Thanks for your observations. Naka-enrol ka ba sa Online SSS o My.SSS? So you can track your SSS contributions and other data. Kung hindi pa, mukhang andito ka naman sa Philippines, call your agency and ask for their SSS employer number so you can enrol. Kung ayaw nilang ibigay, that’s one indication they’re not remitting your SSS. You can also enroll as Voluntary: you need a transaction no. Get this by paying for July or August using RS5 at Bayad Center or SSS cashier. Get 6 digits from the transaction no. Enroll after about 3 days, when the payment is usually posted. About Pag-ibig, do you already have a Pag-ibig MID? This is how to get your Pag-ibig MID. Ask your agency which Pag-ibig branch they’re remitting your contributions to. Pag-ibig records are not centralized, so verify your contributions at your branch. Bring your MID and ID. Basta naremit nang maayos (correct names, amounts and nos. ), SSS ang Pag-ibig savings are guaranteed. For MP2, you have the option to pay directly to Pag-ibig and not through your employer. For Flexi-Fund, we need to ask for further info, because Flexi-Fund is for OFWs, and your status is Employed when onboard, and Voluntary when on vacation. OFW. Sobradetalyado ng mga dapat asahan o gawin sa MP2 at Flexi Fund. Tanong lang please. Sa Seaman na kagaya ko may share ang employer namin sa pagbabayad ng SSS Premium at ng Pagibig. Sobra nakakalito ang process dahil pag nakasakay lang kami sa barko saka lang umaandar ang kaltas na payment sa amin. Nireremit ng Company “Quarterly” pero pag bakasyon ko at mag check ako sa SSS o Pagibig Office hind nagrereflect ang Quarterly na bayad ng Company (Employee plus Employer Share”. Nakaka duda at nakakademoralize magpursigi.Magtanong la man sa SSS at Pagibig at sa Employer Staff walang maliwanag na sagot at parepareho comment na – wala pa, maghintay hintay, magtanong sa employer etc. Kung maghulog ba ako na kukumpletohin ko 12 months sa MP2 at Flexifund may seguridad kaya na ma credit ito na hindi masasayang ang iba pang hinuhulog ng Company At Employee. Please reply sa email address para mas ma motivate ako at sabihin iba pa kasamahan namin. I will be entitled for my retirement by 2014 although I’ll be 60 by this year can I still continue paying. My flexi fund. Hi Cathy, you can fill up an OW1 form at the SSS desk of the Philippine consulate there kung meron. Kung wala naman, download the OW1 form from the SSS website sss.gov.ph (click Downloadable SSS forms), print 2 copies, fill them up and sign and send them to: SSS International Affairs and Branch Expansion Office, SSS, SSS Building, East Avenue Diliman, Quezon City, Philippines. You can also email or fax. See instructions sa form. Hi sunshine, it would really depend on your current expenses or your financial commitment to your family. Pero, yes, it’s always good if you can save more from your earnings abroad. I hope that aside from these you mentioned in your list, you’re also depositing into a savings account, so that you would have something to put into time deposit later on, and that there’s cash which is readily available for near-future withdrawal. I always feel good if I come to know of a Pinoy working overseas who is saving, as there have been to many failures among our ex-OFWs. Hi, Miss Nora. Thank you very much for this very informative blog. In your opinion Ma’am, do you think it is advisable for me to go in this Flexi-Fund (or MP2) investment WHILE 1.) I am paying my SSS loan (plan to pay P3,200 for 12 months my P39,000 loan), 2.) my SSS contribution (maybe P2,000 including my Flexi-Fund), 3.) my Pag-Ibig Contribution (P500) and 4. Lot Purchase (P13,000/month)? I am receiving around P45k salary here abroad. Maraming salamat. Hi XTY, I’m assuming that the name of your employer is required when you’re enrolling online for MP2 because your P1 record still shows you’re Employed. For voluntary members registering for MP2, the employer name is optional. 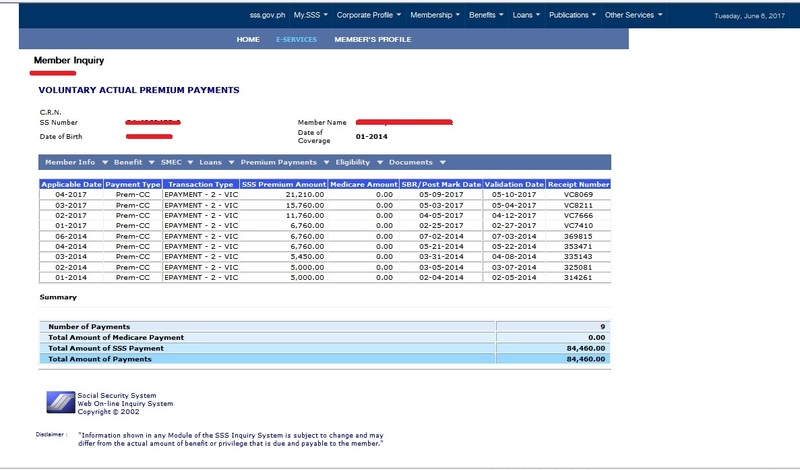 I suggest you change your member status from Employed to Individual Payor online, and then enroll in MP2 after your P1 status has been successfully updated online, or visit your Pag-ibig branch and then enroll in MP2. Bring your Pag-ibig MID, IDs and early retirement papers (just in case they ask). hi, already availed an early retirement just last Feb.2013 with my employer.would still want to pay otc with my premiums every month and would also like to invest in MP2. Please advise how?since when I tried to enroll via web for the MP2, an employer is required. thank you very much. i’ll vote for you if you plan to run for president next election for your commendable public service :-). i’m glad i found this site. it is very helpful indeed. i just joined pag-ibig recently online. and i am interested to join M2 but it says i have to be a pag ibig 1 member first so what shoud i do? better investments….stocks ,mutual funds…in Philam we offer investments with insurance with higher returns pls view PHILAMLIFE MONEY TREE…I am kris you can text me for more info 09486840588. Transfer of Records The thing is it does not include MP2 and Pag-ibig MID, since it’s an old form. Perhaps you can include another letter of request specifying your Pag-ibig MID nos. and MP2. Will add to this if I find something. I like your blog. Will be back to visit. wish you continued success! warm regards! Thanks for featuring this Nor. As an OFW, I think we should take advantage of this. I have been contributing in flexifund for the last 4 years or more. I program my monthly contribution to 2k so the difference goes to my flexifund. I am new – 1 year or more – to MP2. My problem with this is it seems our local PAG-IBIG office back home is not so aware of the program. This is one of my task, sort out my PAG-IBIG file/contributions, when I go for vacation this year. A PAG-IBIG staff back home had advised me to transfer my file too to the nearest PAG-IBIG office in my home town because they cannot entertain my inquiry matters as my file is based in Makati. They said, they have no access except for the contributions. Hi Mae, yes, you can do both — withdraw all your 5-year MP2 savings and then start again, or renew your MP2 — meaning you continue adding to your 5-year savings for 5 more years. Remember to notify them about renewal towards the end of the 5th year, so that the MP2 interest rate is the one applied, not the P1 rate. About sa MP2, when you said you can renew again after 5 years, can I get those savings first and renew, or maiipon lang uli with the interest of 5.5%? Hi Rachel, to register in Pag-ibig 2, you go to your Pag-ibig branch, where your Pag-ibig 1 is. Bring your Pag-ibig MID no. and your IDs. About Flexi-Fund, sad to say, SSS says it’s only for current OFWs. But those who started while they were OFWs can continue their Flexi-Fund even after working overseas. Good day! Back again and thank you always for your very good source of information. What bank to go to open pag-ibig 2 account? Also, can you open an account on SSS Flexi Fund if you are a former OFW? Hi jhun, yes, you can miss some months, just like with the regular contributions. Yes, those 20 contributions are your savings; you can get them plus their dividends after 5 years. is the monthly contribution compulsory? what if i have a staggered contributions in MP2/sss flexi plan, will i still receive any dividends after 5 yrs? say, only 20 monthly contribution for 5 yrs. thanks.